Are you looking for a classy award that combines resin elements with a fun wall plaque? The Colorful Resin Wrestling Disk Plaque measures 6 inches wide and 8 inches long and features a resin ribbon disk with a colorful wrestling mylar. 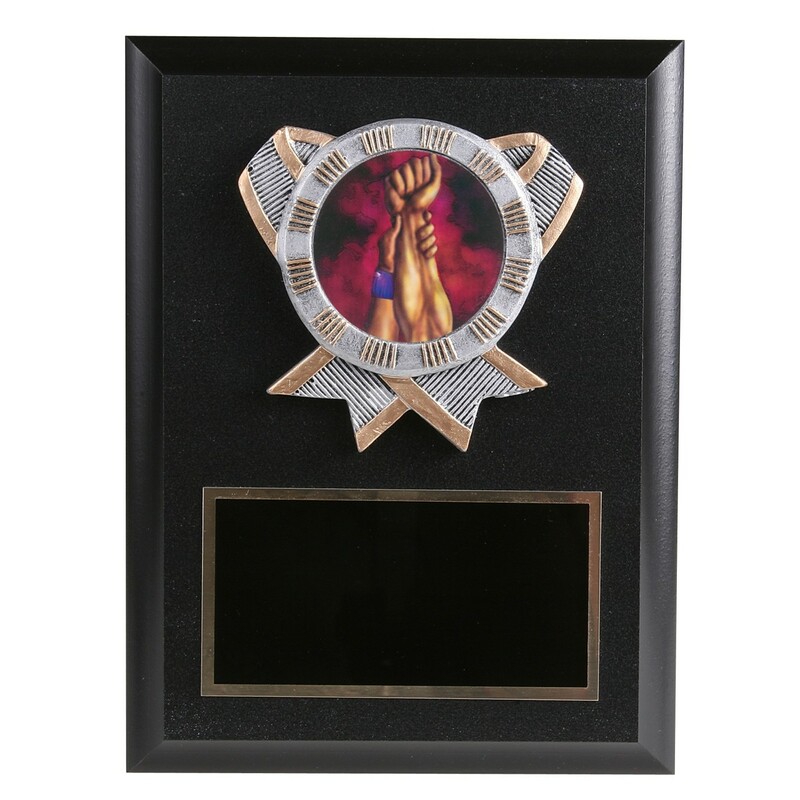 Attached below is a gold-trimmed black brass plate for your 4 lines of free custom engraving.